Give me £50 or £100 in Paperchase or WHSmith's and I'm sure I could blow it quick just on notebooks alone! And maybe a pretty pen to write in them. I'm not sure if this is a weird thing to collect but I do just like the pretty covers and using them to write and draw in. Do you like to collect anything? The last one with the tiger is amazing! 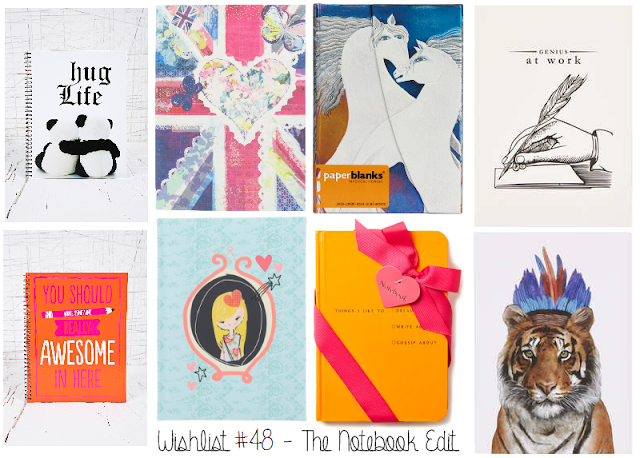 I was having a browse in the home section of Urban Outfitters the other day and found so many stunning notebooks! I want them all!